Interested in stained glass but afraid to make the investment in tools until you’re sure it’s the hobby for you? This 2 part class will introduce you to the tools and techniques needed to make a stained glass ornament. 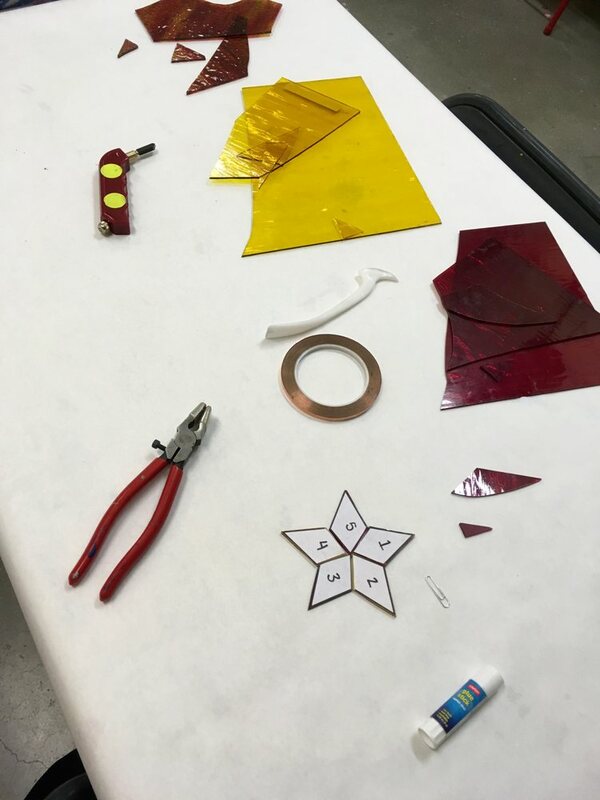 Get tips on how and where to purchase glass, learn to cut glass, foil, assemble and solder while making a small 5-10 piece project. You will select and purchase your own glass; remaining materials and tools will be provided. Pregnant women should not take classes involving lead work or soldering.